With over 25 years experience in retail mailers, direct mail, graphic design and print production, the Advice team work to ensure maximum results at the letterbox. How do I know if I need the services of Advice? The team at Advice are happy to call in and discuss your requirements in a free no obligation meeting. Yes, you can use Advice for any of the services listed on this website. Can I still use my existing printer or designer? Yes you can. Advice is happy to work with your present suppliers. Does Advice have any arrangements with existing media or print companies? No. Advice is completely independent. We place work where it works best; we have no other interests at heart. Can Advice work on my existing campaign? Yes, the Advice team are happy to look at your existing design, print and distribution and make recommendations. 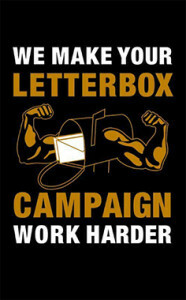 Just give us a call to discuss your next direct mail design and print and we’ll be happy to help. How do I get in contact with Advice? Feel free to send us an email, give us a call, follow us on twitter and Facebook or drop by for a chat.